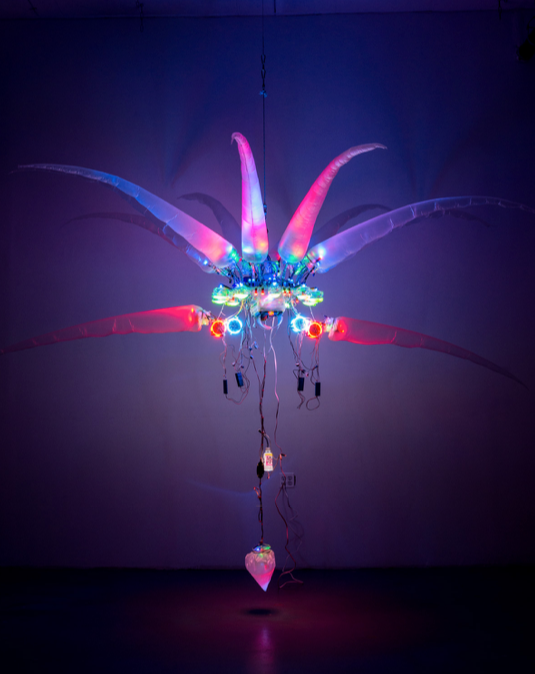 Shih Chieh Huang Tech Sculptures #ArtTuesday @feldmangallery « Adafruit Industries – Makers, hackers, artists, designers and engineers! 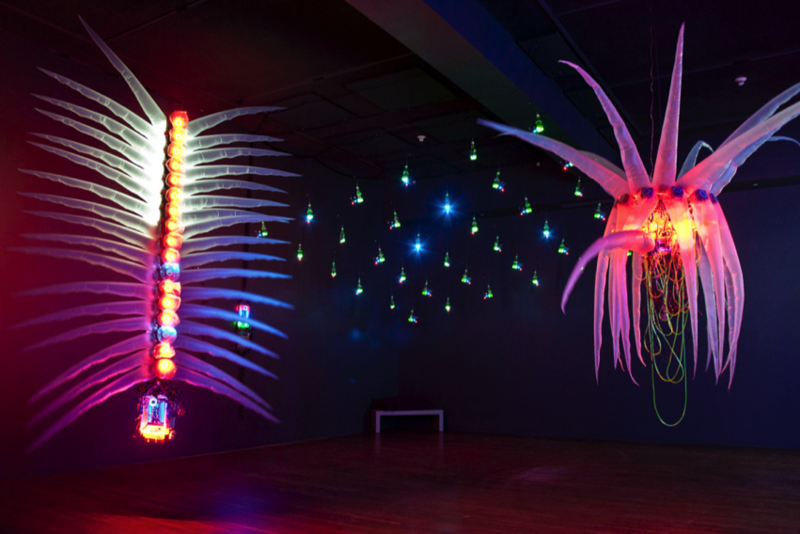 Artist Shih Chieh Huang creates organic feeling sculptures full of LEDs, motors, peristaltic pumps and more! Currently his work is on display at the Ronald Feldman Gallery in NYC, right around the corner from Adafruit! Taiwanese-born Shih Chieh Huang has exhibited his sculptures and installations at the 55th Venice Biennial Glasstress, Echigo-Tsumari Art Triennial Japan, Experimenta Biennial of Media Art Melbourne, Busan Biennial, Aichi Triennial Japan, 52nd Venice Biennial Taiwan Pavilion, Biennial Zero1 San Jose, Biennial Cuvée in Austria, the ARC Biennial Australia, the New Museum of Contemporary Art in New York and MOCA Shanghai. His solo exhibitions have been held at Smithsonian Institute National Museum of Natural History, Yerba Buena Center for the Arts, RISD Museum of Art, Beall Center for Art and Technology and MOCA Taipei. See more! The exhibit runs through April 13th for those in the NYC area.